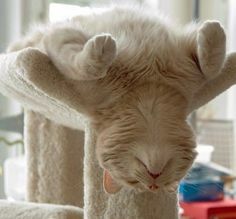 We all know cats rule over the internet with an iron-clad (read: fluffy and adorable) paw. 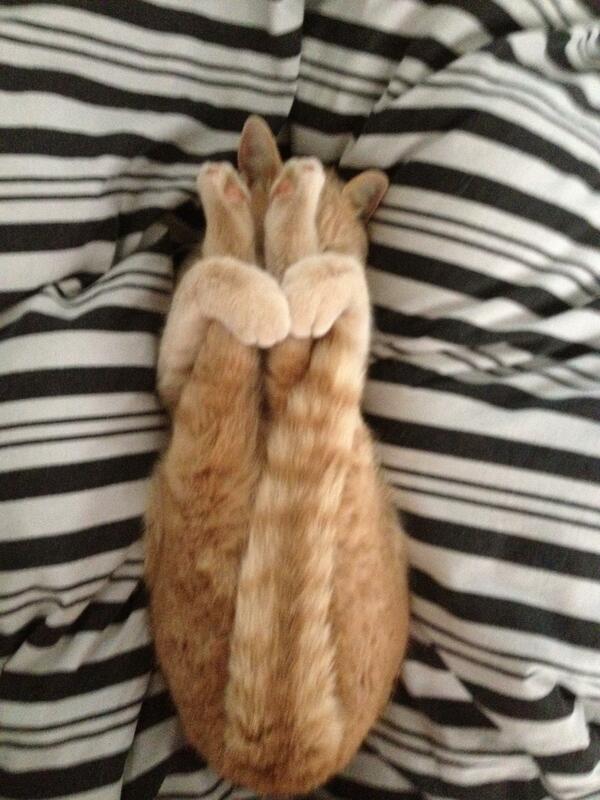 So let us pay tribute to our feline overlords with a series of cute pictures of cats doing yoga. 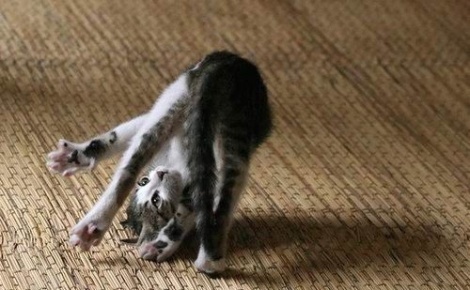 Because Yogi Bear is so last century and Downward Dog has got nothing on Downward Cat. NOTE: This blog post now comes with bonus cats! 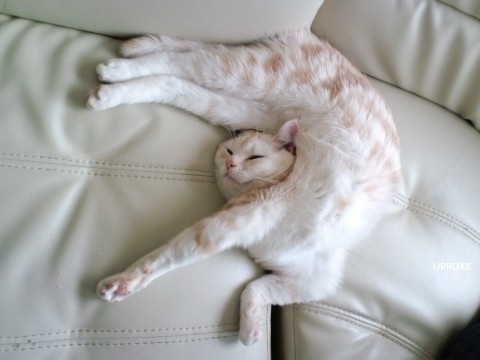 Yep, cats like yoga. It fills their angry little souls with a sense of happy only usually associated with dogs. Dogs are stupid nice. 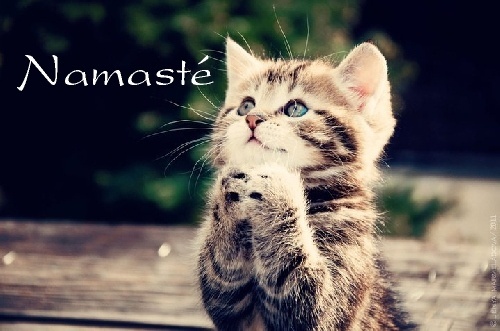 And really, when it comes to yoga, as with everything else, they’re far superior to humans. 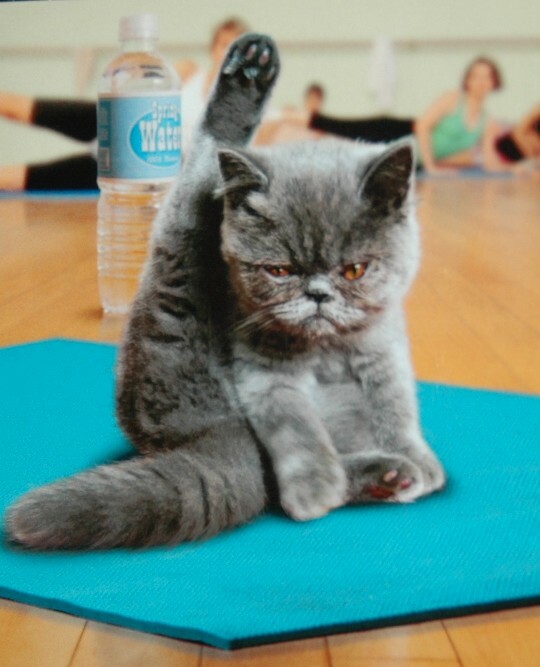 Still, they dislike the young bendy chick in the fancy leggings just as much as you. 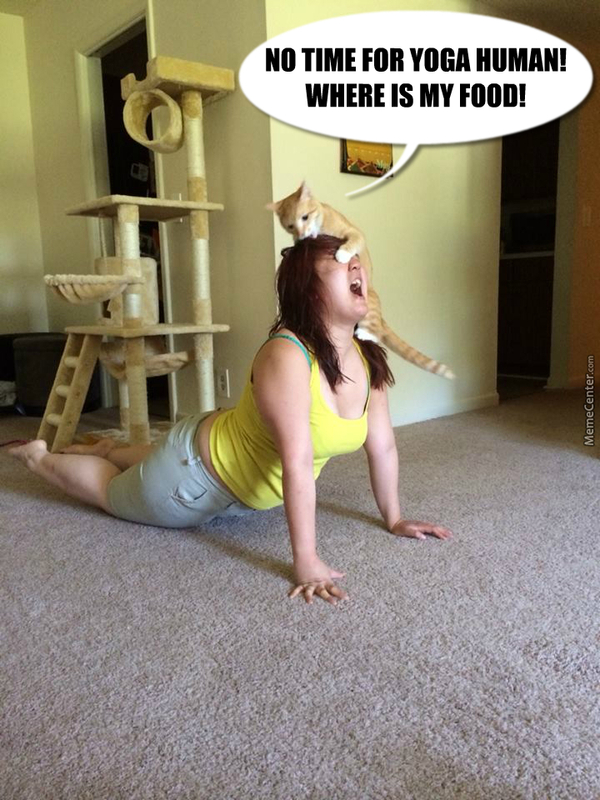 But they love it when you do yoga. Ever noticed that sometimes you just want to rock out a Warrior series on your YouTube channel and kitteh just doesn’t want the Internet to see? 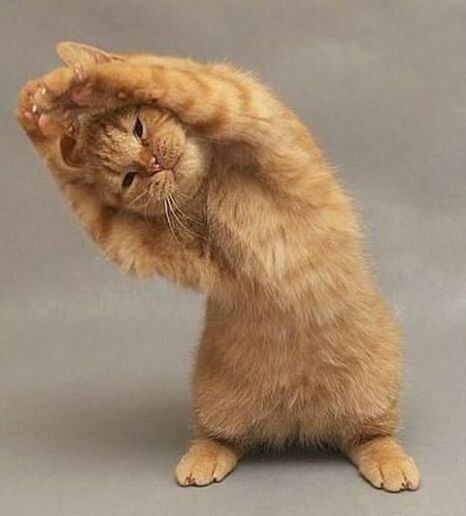 Because yoga, and you, belong to him. Ok? Remember, it’s not about you. 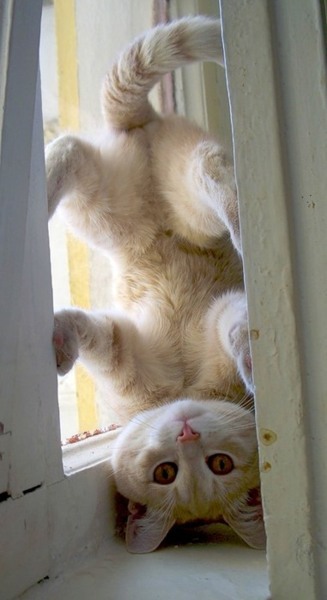 Yoga is the only thing in the world, except for themselves, that cats are head over heels in love with. 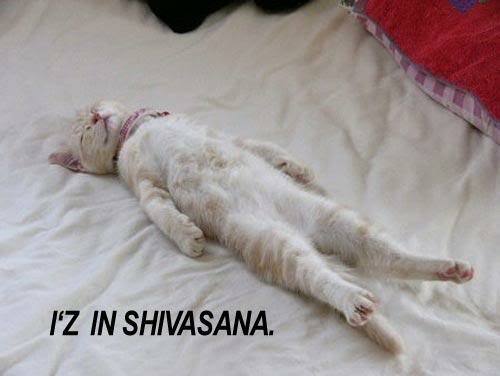 But when all is said and done, they just want to lie back, relax and enjoy a bit of Savasana (yoga code for ‘lie down and pretend to sleep’). Seriously, no talking at the back. 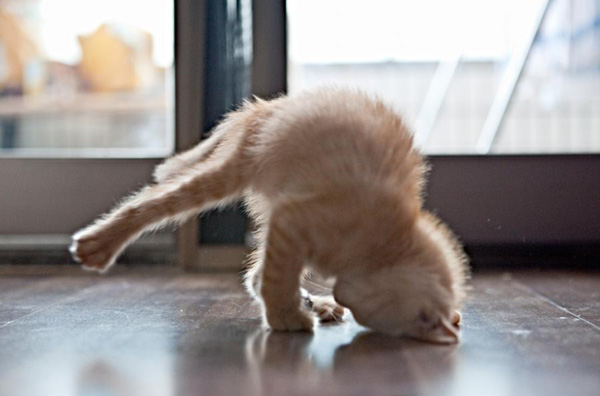 And if you even DARE work on your headstand while his eyes are closed, he’ll call a friend or two to make sure you don’t master it before him. Because dogs are stupid nice. 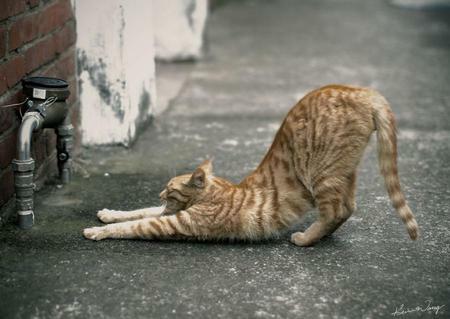 Looking to give these cute kitties a run for their money when it comes to mastering the art of yoga? Grab some sweet activewear to get into the relaxed yoga mood!